This blog entry about the events of Sunday, January 15, 2012 was originally posted on January 22, 2012. I HAD SPENT TWELVE HOURS in Amsterdam, where I rented a bike to wander around with suggestions from Dutch traveler Lot (whom I met in Chiang Mai). I did a whirlwind day tour of the city: the Van Gogh museum, the Nordermarket, the Jordan district, Vondelpark, and yet another memorial to another genocide, Anne Frank’s house. After another KLM flight for eight hours, and I was back at New York’s JFK International Airport, where I had started. “Where did you go?” inquired the immigration officer. “Uganda, Rwanda, and a layover in the Netherlands,” I replied. He was bewildered with amazement; most people were just coming from “Amsterdam” or some other European city. “They’re actually two of the safest countries to travel in Africa,” I informed him. “It just sounds dangerous,” he acknowledged. “Eh, that was the 90s,” I told him. I’LL ADMIT I WAS A LITTLE WARY ABOUT MY TRIP to Uganda and Rwanda when I had booked it. For some reason, my initial ignorance about the two countries made me think they were more dangerous or sketchy than the other African nations I’d been to — although for me, that was part of the appeal to going there. What I had come to learn through research, and actually experiencing the two countries for a little over a couple of weeks, is that my initial perception of them were dead wrong. In fact, it’s quite the exact opposite. I’m not kidding when I say I felt safer when traveling through the two countries, especially in Rwanda, which is perhaps why I let my guard down when I got kicked in the balls — although that random ball-kicking guy was quite possibly drunk and it could have happened anywhere in the world, and I won’t blame Rwanda. 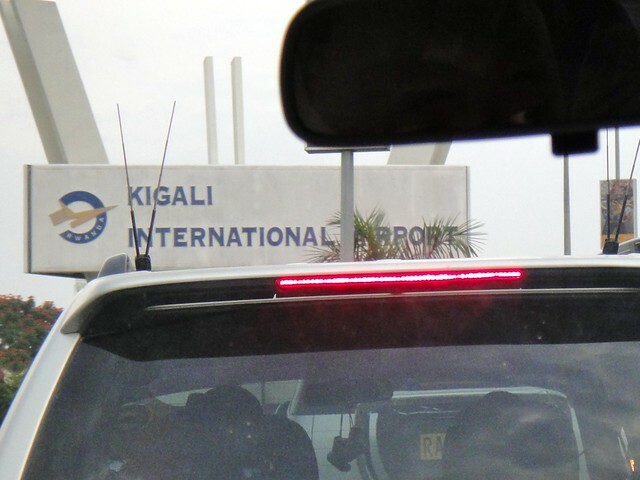 That incident aside, Uganda and Rwanda have proven to be friendly and almost hassle free; for the most part, you can just walk around anonymously like you can in America, without touts constantly approaching you for solicitations like in other developing nations (but if they do, they might end up being royalty). One theory as to why there aren’t many hustles is because of a lack of major Arab influence; Arab traders didn’t make it that far inland into the African continent. Not to point a finger at Arabs for being solicitors, but wheeling and dealing is ingrained in their culture, having been a major trading empire for millenia. But I digress. Gearoid, the guy I met at the Hotel des Mille Collines (his name is pronounced “G’rode”), had been in Kigali for an international academic conference about post-conflict peacebuilding. (He was a Irish-American professor working for a small university in the Netherlands.) He hadn’t spent much time outside Kigali during his week there, but didn’t need to in order to realize how unique Rwanda is when compared to other African nations. In our conversations, he said he had spent time in the west African nation of Sierra Leone. “Some [people in Sierra Leone] wish the British came back,” he told me. “They say Black people can’t do this, they can’t do that. But I wish the officials in Sierra Leone would come here [and see what they’ve done. ]” He was enthralled by the infrastructure of Rwanda, its cleanliness, its beautification, and its relaxed vibe, just as much as I was. I hope this latest travel blog at least provides some insight on two of Africa’s 54 nations; it’s been my goal to do that everywhere I’ve been on The Global Trip, to make “exotic” places seem more accessible to the average person. Uganda and Rwanda are great countries that I highly recommend, each with their own unique characteristics and histories (one more violent than the other). Uganda truly is the “Pearl of Africa,” with a big diversity of things to see in one country, from wild whitewater rafting, to big mammal safaris and big primates. (Kenya and Tanzania may have cornered the safari market, but they have no gorillas like Uganda does.) Rwanda, a small country with a destructive past, is now rebuilt as a model progressive country for the rest of the continent. Not only does it have a relaxed vibe in the cities, but in its Caribbean-like lake resort towns. And after reading this travel blog, you know that if there’s one thing that Rwandans really have, it’s a really good hot sauce. if the entire world just came together at a pig roast with all different hot sauces, the world would be in peace. enough said. Great insight into two countries I knew very little about! Super jealous about the hot sauce. That’s a great souvenier. Awesome trip blog as ALWAYS!!! !